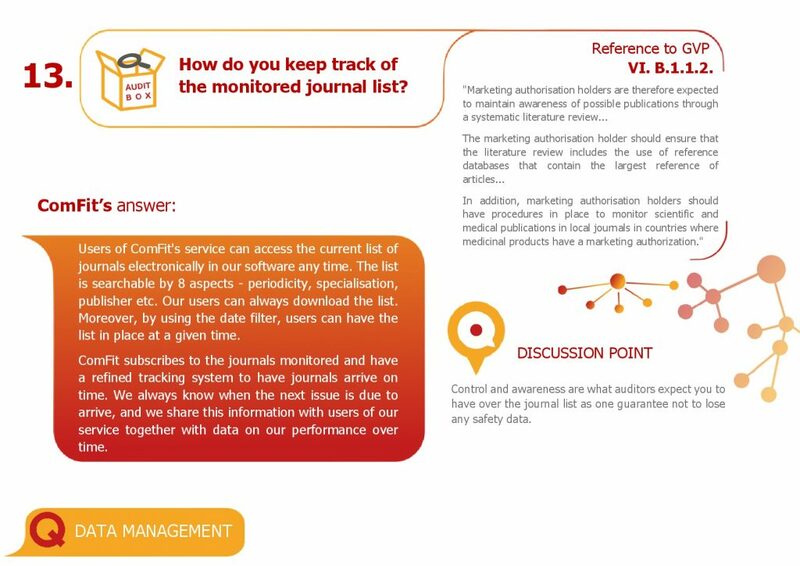 AUDIT LEARNINGS - Keeping track of the monitored journal list - ComFit Europe Ltd.
At ComFit, we have been collecting the questions of audits and quality checks for years and turn them into sources of further developments as well as to make them a part of a check-list for the next milestone. We have decided to write a summary (travel book) on our experiences. We have started to line our audit questions with the applicable chapter of GVP (tour guide) and to think about the potential challenges in the answers.